Whoops! Didn’t check the account first and now I have 8 cents left. But look at the lovely books I got yesterday at Magers & Quinn bookshop whilst my daughter was learning to ice-fish! I have never heard of this artist before, but I love his drawings, they make me want to draw and color. I needed an infusion of art inspiration, and this was a great find. Oh, did I mention this is a new and used bookstore? I”ve only been in it a couple of times but I’ll be going there more now. Simon of Savidge Reads loves M.C. 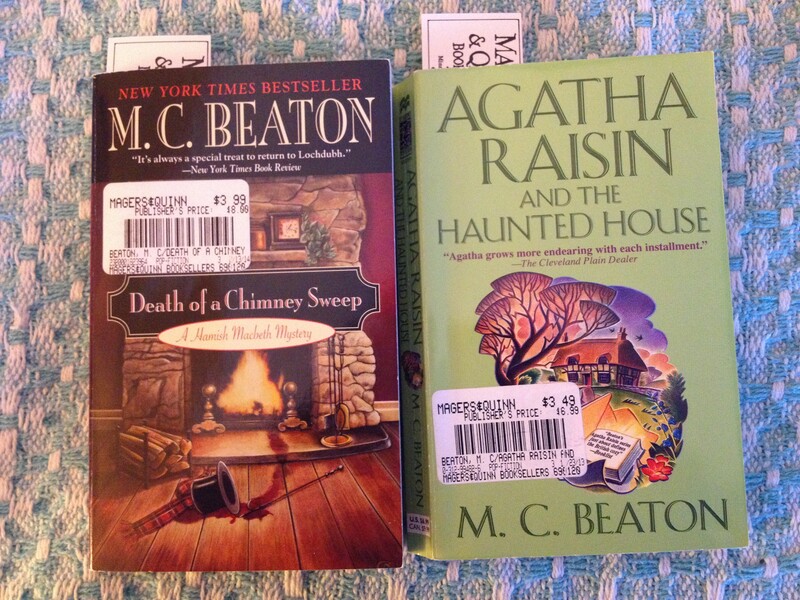 Beaton, who I’ve never read, even though I love mysteries, so I thought I’d try her. One is even the Agatha Raisin title he reviewed just before Christmas, although I like his cover better. 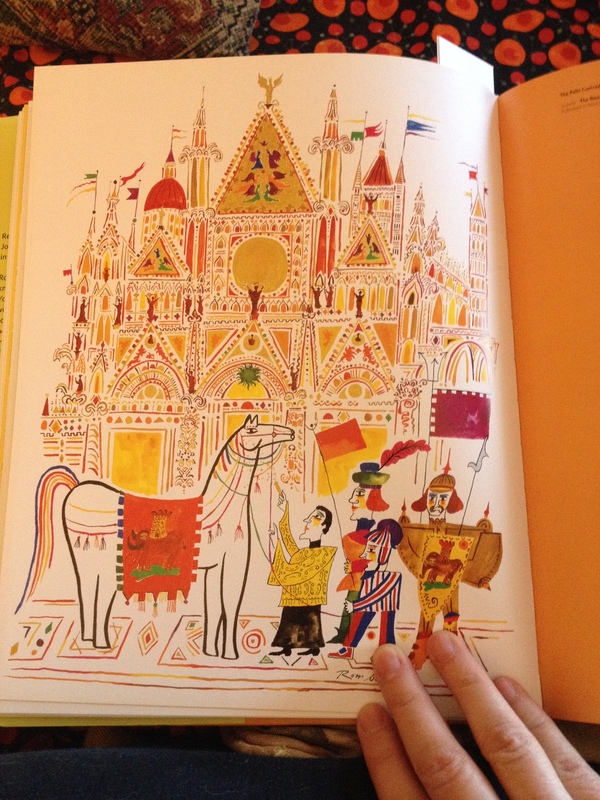 And the other is a Christmas title, which I’m collecting for a huge special issue of Bookstore Thief. Know any Christmas titles that are off the beaten track? Oh, and if you’re thinking those are nasty-looking stickers defacing the covers, they come off pretty easily. 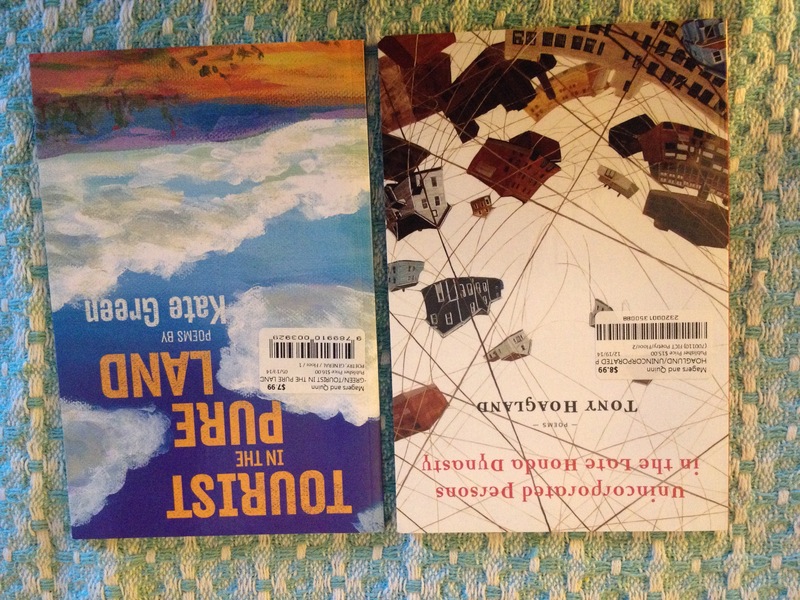 And two poetry books! I wrote a lot of poetry, and read a lot, in grad school, and I’ve been feeling the need to read some more lately, so these are the two I grabbed. Tony Hoagland is funny and brash, very plainspoken. I have no idea what the title refers to, at least not yet. If you can’t see it, it’s Unincorporated Persons in the Late Honda Dynasty. I haven’t read Kate Green (her title is Tourist in the Pure Land) before but one of the blurbs on the back is from one of my former professors and I love his work, so I’m gonna try it. 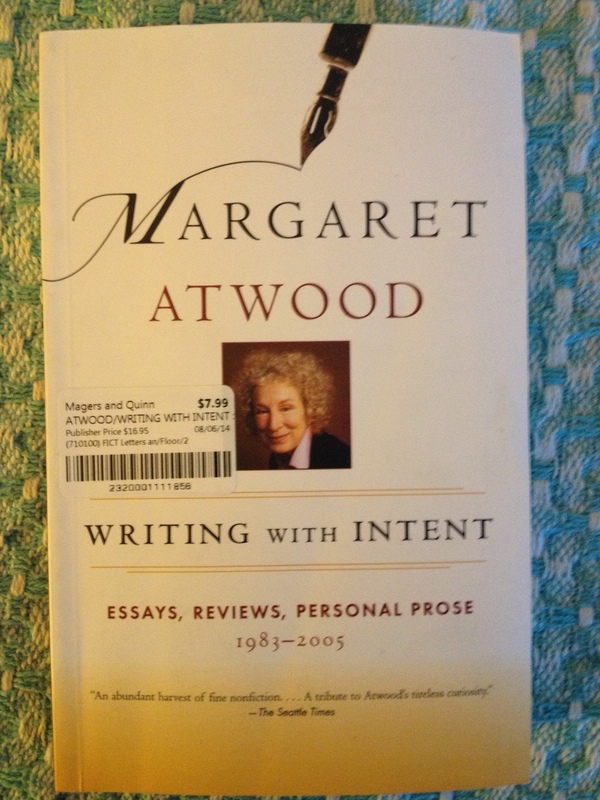 And last, but not least, a books of reviews and essays by Margaret Atwood. I love reading book reviews. 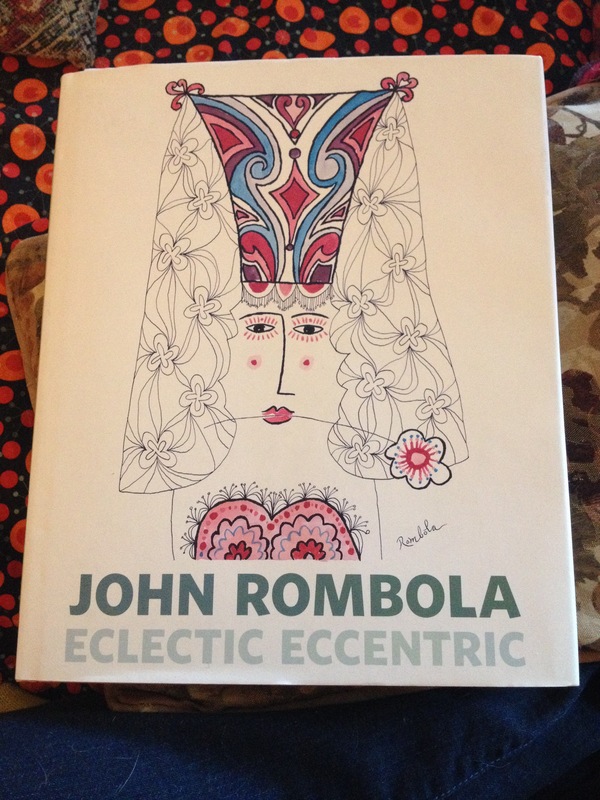 Do any of you have favorite writers who have collections of their book reviews?